A new show from Indiana’s WFIU looks to provide more coverage of environmental issues in Indiana and across the nation. The program, which has a working title of Ecosphere, was pitched to the Bloomington station by leaders of Indiana University’s Prepared for Environmental Change (PfEC) Grand Challenge. The initiative aims to address environmental problems facing Indiana communities and to foster communication about them. The PfEC will fully fund Ecosphere’s budget, which Bailey said is in the low six figures. The support will cover salaries for a full-time host and two part-time staffers. 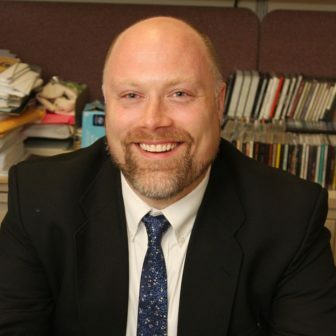 James Shanahan, who will help develop Ecosphere as dean of The Media School and associate director of the Environmental Resilience Institute at IU, said he expects to find foundation support to continue the program after the initial two-year PfEC grant ends. WFIU plans to launch Ecosphere in late spring as a half-hour radio show and podcast. Bailey said he hopes other stations will also pick up the show, which WFIU plans to make available through PRX. Bailey said he would like Ecosphere to be an alternative to public radio’s few programs about environmental issues. One, the hourlong Living on Earth, airs on about 250 public media stations. Ecosphere might cover some of the same ground as Living on Earth, Bailey said, but may also draw more from research conducted at IU and elsewhere. “It’s not going to be so Indiana-focused that other stations won’t want it,” he said. Focusing the public’s attention on environmental issues can be difficult, according to Shanahan. The technical language and a lack of “sexiness,” Shanahan said, can be barriers, especially compared to political news. Despite these challenges, Shanahan wants Ecosphere to reach a wide audience. Bailey expects Ecosphere to be similar in structure to Earth Eats, a WFIU program about food and sustainable agriculture, with each show including three to five segments. That could include features, interviews and the week’s environmental news. Community engagement could include forums on IU’s campus or discussions between experts and community members. Since Earth Eats’ launch a decade ago, it now airs on about a half-dozen stations, and its Twitter feed has 380,000 followers. Bailey hopes Ecosphere might follow a similar path to success. “Earth Eats is the little engine that could, and Ecosphere might be its partner on the train tracks,” he said.